Why did I get out? After some days where I didn't find a moment for my projects, last night I was able to finish my TARDIS, at last! As most objects in narizón version, one of my challenges was to alter its proportions to make it fit the big nosed guys while still being recognizable and looking good and practical on a miniatures game table. Before begining, I searched inspiration by looking again at Airus' FANDIS, a gorgeous handmade narizón version of the TARDIS. Then I lauched Blender and I began to model it. As the render of a lone TARDIS is a bit bland, I decided to make a small digital diorama for the pics on this post. I'm really looking forward to play my first game using my narizones, so I imagine a scene from that first game: poor Fourth Doctor getting out of the Tardis and coming face to face with three nasty looking Cybermen. I sent the TARDIS model to Sculpteo and they gave me a quote of 40€, too expensive. I reworked the model (cutting it in parts and retouching walls) and I arrived to a price of 20€, not too bad. Working the STL models I've got a quote of 35€ for the five items in the diorama (the TARDIS, the Doctor and the three Cybermen). 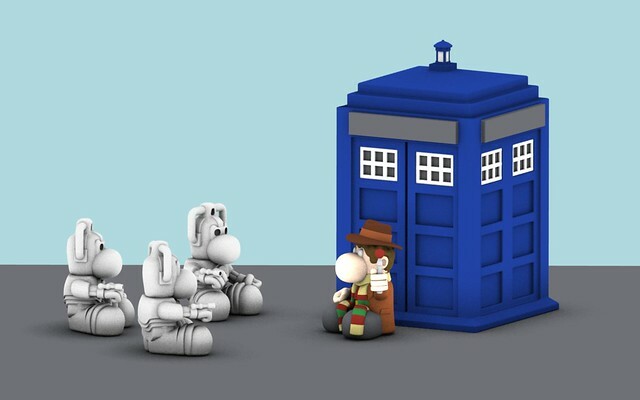 I've just passed my command on Sculpteo to get my first batch of Narizones Dr Who miniatures printed in 3D. I'll receive them by the end of the week, I'll post some pics as soon as possible. 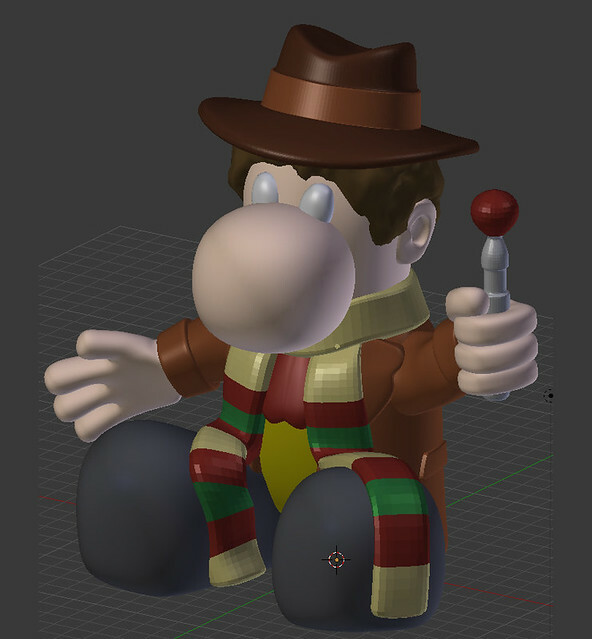 The 4th Doctor felt alone, so I decided to give him some company... even if I fear that after discovering the company he will miss his loneliness. 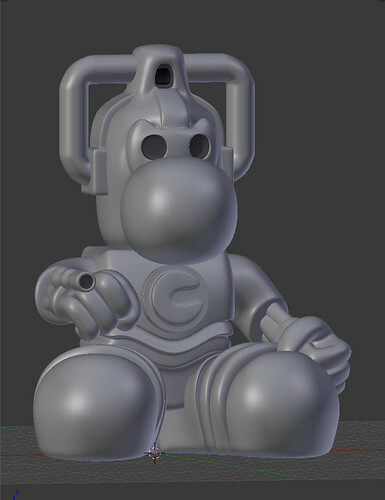 So last weekend I took some time to model on of the most iconic enemies of the Doctor, the Cybermen. 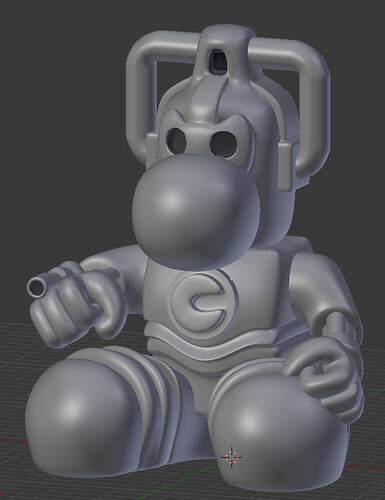 As always, it's done in Blender to be 3D printed with Sculpteo. 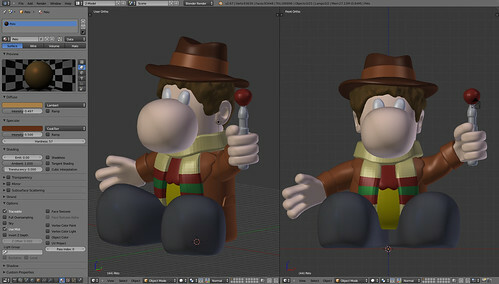 Next step is to finish the TARDIS and to send it all to Sculpteo. 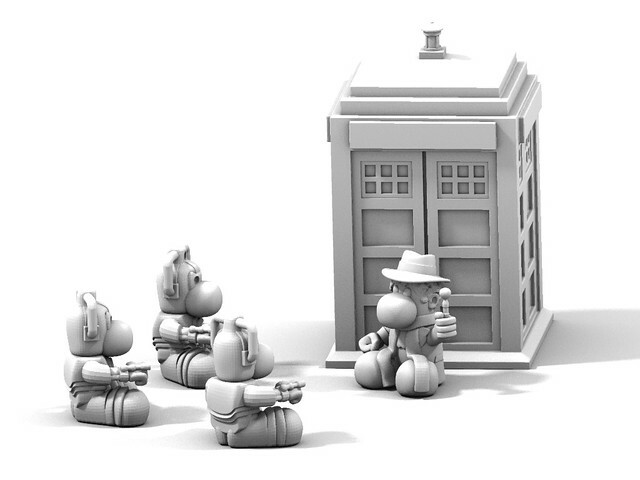 If everything goes well, in to weeks I'll be able to play my first game of Dr Who miniatures game using my minis. I remember clearly the day I got hooked into roleplaying games. I was 8 years old, and my cousin, who was 9, showed me a red box with a weird name: Dungeons & Dragons. And then he opened it and I saw some books, a bunch of bizarre dies and a couple of painted miniatures. I think it was the miniatures that made me want to try it, I couldn't keep my eyes out of them. Since then, I love roleplaying games, and I love miniatures. Some years ago, I wanted to do my own minis, based on the works of Cels Piñol, a Spanish comic writer. 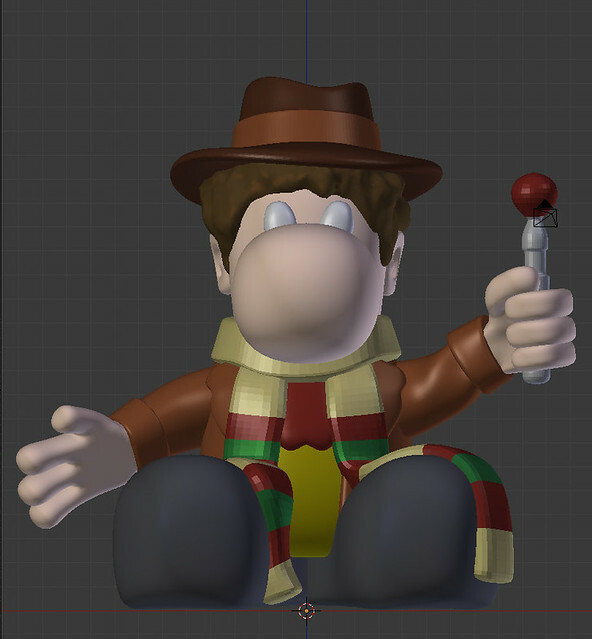 His characters, with a characteristic big nose, are usually called Narizones. So I began to sculpt my own Narizones, at the begining by hand, modelling putty. 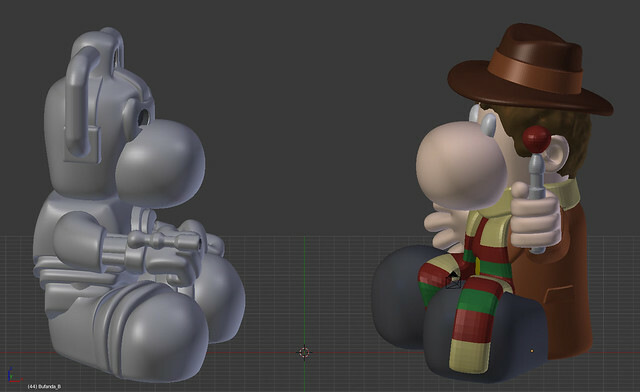 Later I began to model them digitally, with Blender and printing them in 3D with Shapeways or Sculpteo. You can see all my minis on my Spanish minis blog, Narizones.net. In the last months I hadn't found any time to create new minis, but last week I was able to squeeze some free time without any other thing to do, and I began my next miniature projets: some Narizones style miniatures for a Dr Who miniatures game. All content copyright Playtesting.org © 2013 • All rights reserved.